Known for everything from playing taps to leading the high energy of a ska band, the trumpet is the most popular brass instrument. Also well known for being used in marching bands, drum corps, jazz ensembles and jazz soloists such are Miles Davis. The trumpet is very versatile in terms of music genres and commonly found as additions to rock or pop bands. The trumpet utilizes three valves to assist with controlling pitch. As with all brass instruments, the embouchure is essential to play proper, consistent pitches and staying in key on the trumpet. 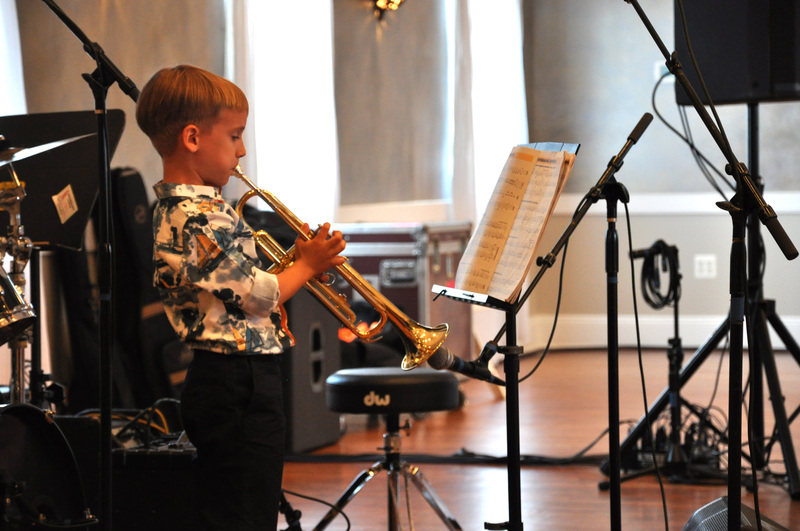 Our instructors will take much time and care to ensure you develop a good embouchure while taking trumpet lessons. Whether you want to improve you seat position in the school band, join a jazz ensemble or get involved with a ska/rock/pop band our brass instructors will guide you in the right direction.